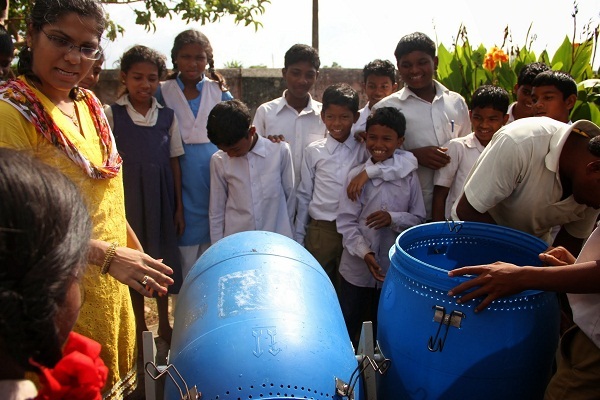 Kohka Middle School now has a very exciting addition- a compost unit! 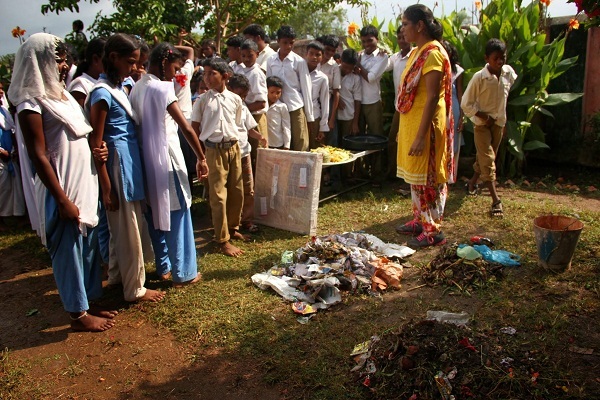 Monisha Narke of RuR introduced the students to segregation of garbage and the concept of making kitchen waste compost- something that is quite uncommon in Pench. 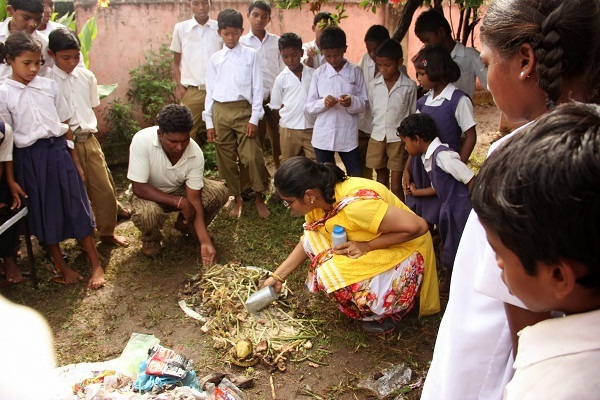 Through a very entertaining session, Monisha familiarized the students with their waste and the ones that are biodegradable and those that aren’t. 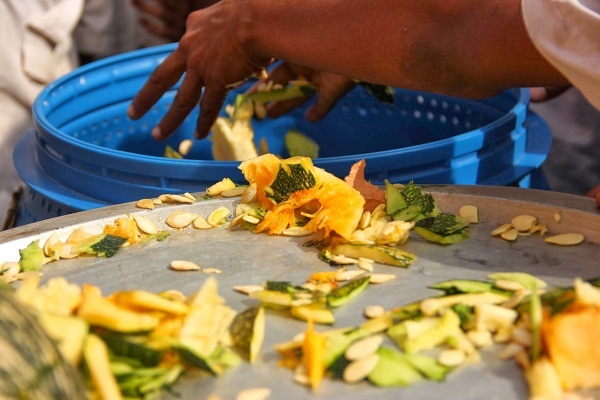 Then, it came down to some math and the students in Kohka Middle school realized almost 70% of their waste generated in school could be converted into something useful- compost. After a quick and easy setup of the unit, we were ready to take the kitchen waste out to the compost unit. Within an hour we were done and ready to chalk out our plan for the next few harvests of compost. Setting up the compost unit with the help of the 7th and 8th graders. 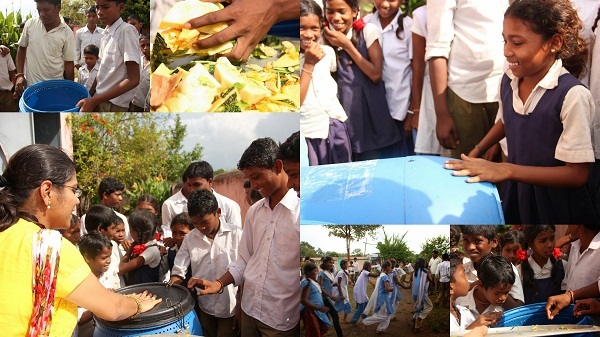 Students fighting over who would get to fill the drum with kitchen waste first! To end our very long day in Kohka (It started pouring the minute we got to school! 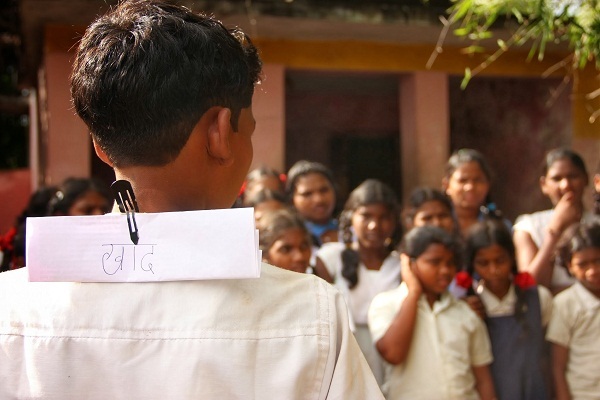 ), we played the twenty question game with the students to quiz them on their knowledge on waste. Needless to say, the students absolutely loved this game and it helped them revise their learning of waste too! Composting sounds easy, but it requires daily attention. We’re not worried though- we’ve got a determined set of students and we’re sure we’re going to have a few very successful harvests! Here’s hoping we have a good harvest in the next 6 weeks! To know how we fare at our principal attempt at composting, follow us on facebook and twitter and read the #compostingdiaries.